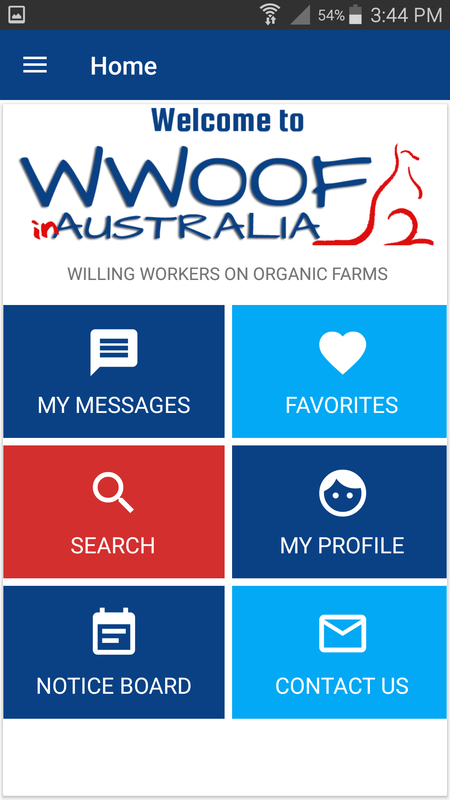 The new WWOOF Mobile App will soon be available in the App stores! 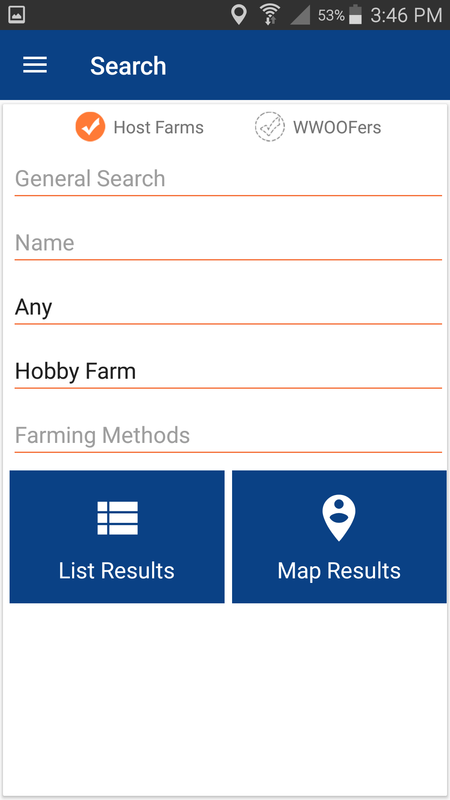 We have been working hard on the new WWOOF App, it is currently undergoing Beta Testing and will very soon be available in the App stores as a free download. Your log in user name and password for the new App will be the same as your log in for the WWOOF website. 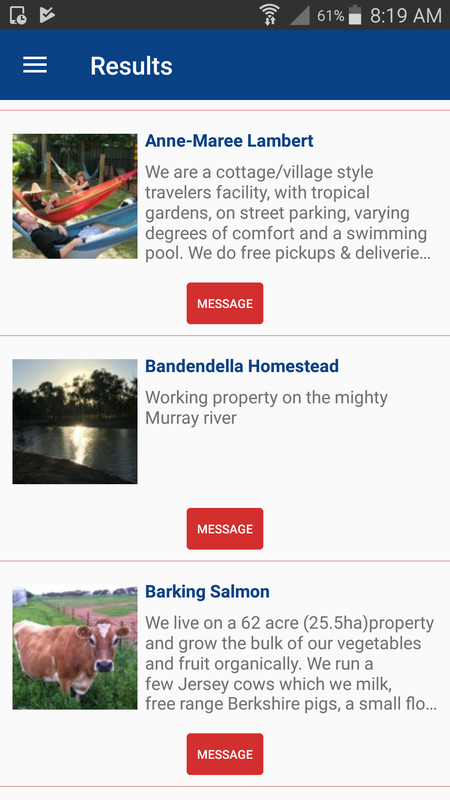 When you install the new App it will completely replace the current WWOOF App so any of the Hosts you have saved as favourites or hosts visited will be lost, in the transition. It is important to make a note of these hosts then log in to our website, search for and save each of these hosts to your favourites on the website before installing the new WWOOF App. This will ensure they are all in your new App as this connects to our website. If you have any important information stored in your current App, please make a note of this so you don’t lose it! Almost everything you can do on our website, you’ll be able to do on the Mobile App. Even when you have no Internet access, you’ll still be able to view Host Farms. Here is a sneak preview of some of the App screens. The App will be available in iOS and Android formats as a free download from the Google Play Store or Apple App Store. Since the launch of our new website in October last year WWOOFers and Hosts are no longer issued with member numbers. Usernames now replace Member numbers. 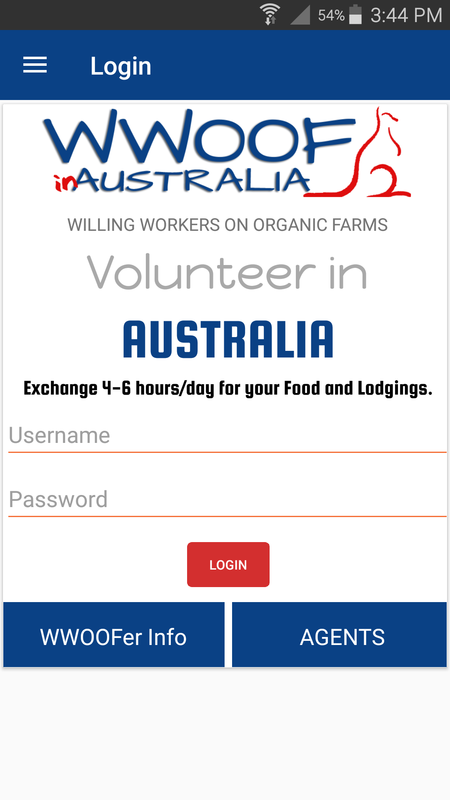 WWOOFers will be able to show hosts their own WWOOFer profile in their WWOOF App, or on the Hosts computer on arrival as proof of WWOOF membership. If you haven’t set up your WWOOF Profile yet, please do this ASAP as this is the best way to attract WWOOFers or Hosts, add some great photos and locate yourself on the map so your Profile show up in Map searches too. If you need help getting started check out the FAQ & videos page for some quick “how to” videos, during office hours we are happy to help you too of course. We will notify you when the new Mobile App is ready to go!